Have you ever wanted something that would change your life that should never have been placed beyond your reach in the first place? Can you imagine for a moment being 84 and not knowing how to read? What would you do? This is the premise for the remarkable film The First Grader, directed by Justin Chadwick and based on a true story. Kimani N’gan’ga Maruge is an 84 year old veteran Mau Mau freedom fighter who lives in a village in Kenya, Africa. When the Kenyan government declares that it will offer free education for all, Maruge decides that he will finally get the education that was denied him. He decides to go to First Grade at an isolated primary school so that he can learn to read. Once, he fought for his country’s right for freedom from colonialism. Now he will defend his right to learn to read. 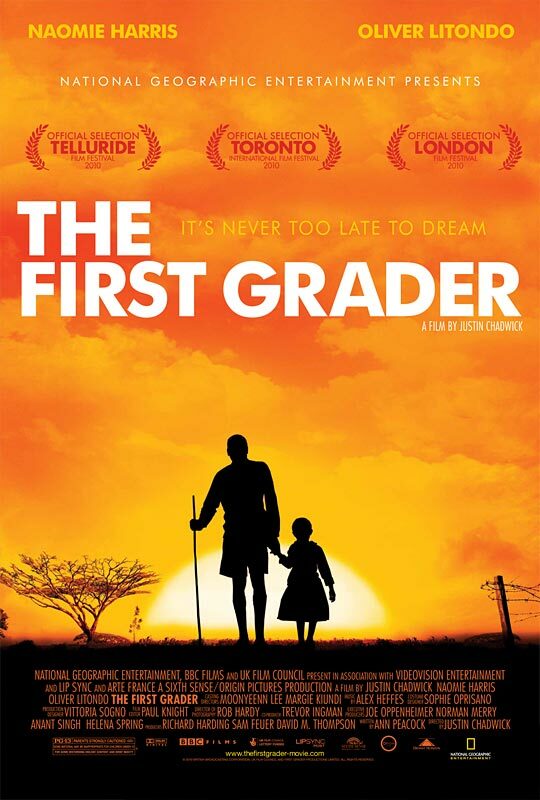 Africa, director interviews, film, history, inspirational, Interviews, Justin Chadwick, learning, movies, National Geographic, The First Grader. Bookmark. Great interview Kyra, it sounds like a wonderfully inspiring movie! Thank you!It was such a good movie! I enjoyed it so much. It really made me think and value what I have in life and the rights I enjoy. It confirmed for me that some people in this world are truly remarkable, no matter how old or young they are. Excellent interview!! I am looking forward to watching this movie. Its sad and amazing that in this advanced, technological age, so many people are deprived of the very basic things that can make such a difference in their lives. These are the things that we also tend to take for granted. I can appreciate movies such as these.